Do you have a webcam for your PC? No? don’t worry we have a brilliant trick for you to convert your iPhone into a webcam for your PC. Isn’t it looks cool and innovative? that an iPhone can be used in place of a webcam also. Yes, you no more need a webcam to chat on Skype from your personal Computer. Today in this article I am going to tell you How To Use iPhone As Webcam For Your PC Or Mac. Why do you pay for a webcam? when you have an iPhone. Yes, you hear it right, you don’t need a separate webcam for your computer or laptop to chat on Skype or any other video chat platform because you can use your own iPhone to convert it into Webcam for your PC. As we all know iPhone can be used to do many tasks and now it also possible to use your iPhone as Webcam. So In this article, I will tell you step by step guide on “how you can turn iPhone into Webcam“. So let’s have a look at the detailed article given below, in which I am going to tell you about using your iPhone as a webcam for your Mac or PC. 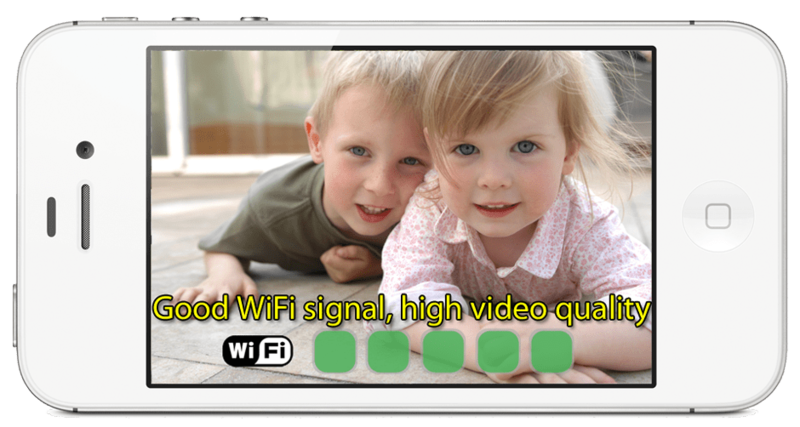 In this article, we will use an iPhone webcam app, which will help us to use our iPhone camera as a webcam. As we all know that everyone has got a laptop to use its webcam for video calling, and if we want to make a video call on Desktop PC then we will have to use an external webcam for it. But if someone doesn’t have an external webcam to make a call on PC or mac then they can use their iPhone to make a video call to their friends, family etc. 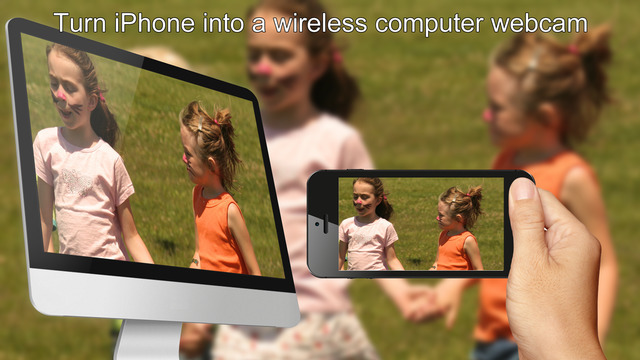 So now if you have an iPhone then you don’t need a webcam to make a video call from your PC or Mac. We know that there is much application available in the market to turn your iPhone into a webcam, but here in this, we will tell you the easiest and simple method to do this. As we all know iPhones are very innovative smart phones and this type of features in iPhone makes it more convenient and useful. So let’s see the step by step procedure of “How To Use iPhone As Webcam For Your PC Or Mac“, given below. I love to explain each and everything in the details for my viewers, so they don’t face any problem while applying the tips and tricks. The method which I am going to tell you in this post is quite simple and easy to use, I will use an ios application in this method. Just follow the step by step guide given below to turn iPhone into a webcam with any wire connection between your PC or phone. The method which I am going to tell you in this post is quite simple and easy to use, I will use an ios application in this method. Just follow the step by step guide given below to turn iPhone into a webcam with any wire connection between your PC or phone. Just follow the step by step guide given below to turn iPhone into a webcam with any wire connection between your PC or phone. First of all, you will need to download the ios application ” EpocCam“, this application will help you to wirelessly connect your iPhone to your PC and use it as a webcam. And the one good thing about it is that it is totally free and most using webcam application in the app store. Download this application from here. Now after downloading and installing the application on your iPhone, download the drivers required for Windows or Mac OS x from here. After downloading the required driver, now you will need to go here for setup guide. The link I have provided in the above line will redirect you to the full detailed guide on how you can use this application to turn your iPhone into a webcam. After using the guide given in the article, you can easily connect your iPhone to your computer wirelessly and use it as a webcam. 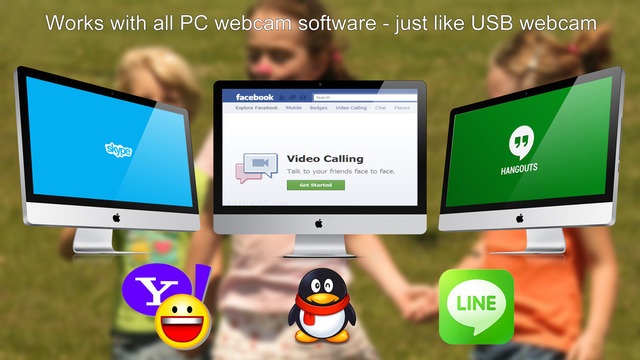 That’s it, now enjoy video call on your PC or laptop using your iPhone camera. Smartphones are very helpful in our today’s life, these are making our life so easy on our fingertips. We can use our smart phones to do many tasks, which would cost us $ sometime back but now many works we can do easily and free of cost with our smartphones. So above I have told you the full step by step guide on how you can use your iPhone as a webcam, if you are facing any problem using the method then please tell me in the comment box. The method is quite easy to use but if you feel any trouble in any step of the method just comment below and I will solve your problem asap. If you like the article then please don’t forget to share it with others, and tell your friends that they don’t need a webcam anymore if they have an iPhone to make a video call using their desktop PC. So stay connected with us for more cool tips & tricks, like our Facebook page or follow us on twitter to get instant updates of a new post in news feeds.